Oh, and who is Oscar Kleinsmith, you may ask? Shall I try to get on the Planning Commission as an appointment???? I’m sure that the current BoS will *NOT* give *ME* that appointment. LMFAO. Wanna know the real kicker to this? 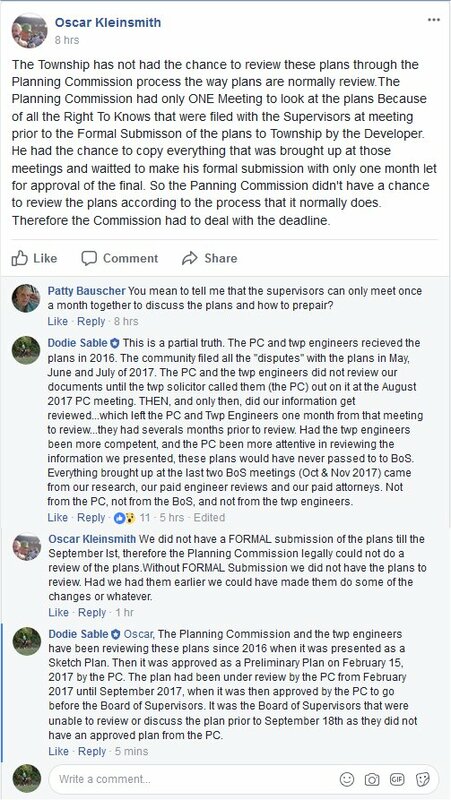 Prior to the election, one of the BoS members was telling the story around town that the reason the plans were getting approval so fast was because I kept feeding them all the problems that were wrong with it and they kept fixing it. The problems that are before the BoS now should have been caught while it was being reviewed by the Planning Commission and the engineers. They did not do their job properly.